Offering a nice blend of space, affordability, and style, Broadview’s Stradford floor plan may be just the thing your family needs. It’s spacious enough to allow you to entertain while still being able to capture the closeness that you want. Learn more about this lovely home style, then talk to a New Home Sales Consultant about purchasing a home just like this one. As you look at pictures from both the exterior and interior of this home, you might be surprised to learn that it’s a duplex-style home. The exterior has a lot of curb appeal, and each side of the duplex has a door with a small porch on opposite sides of the home. At first glance, you might not even recognize that it’s a duplex. 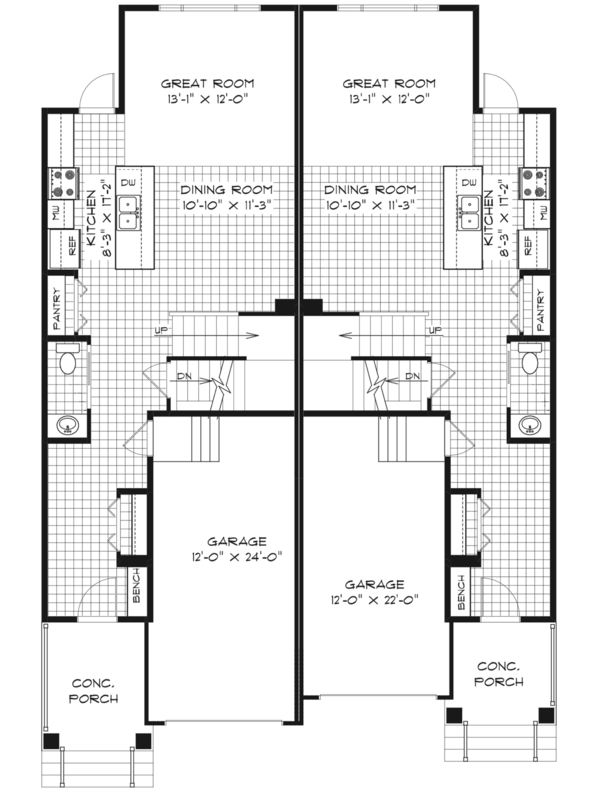 And with 1,600+ square feet on the interior, you’re definitely not sacrificing any space. What you do get, though, is a great deal on a home that doesn’t look or feel much different than a traditional detached home. It has an open-concept living area on the first floor and bedrooms upstairs. You do share walls, but modern building techniques and materials make it so you’re not sharing the sound. Whether you’re walking in through the front door or through the attached garage, you’ll enter into a large foyer area. There’s a bench seat that makes it easy to take off shoes, and a coat closet to hang up your clothes. If you’re having guests over, it’s nice to know that there’s enough space to greet several people at once rather than making them wait outside in the cold or rain. A large entryway like this can help you stay organized and limit the amount of clutter that comes into the rest of the home. Whether you’re entertaining or having a quiet evening at home, you’ll appreciate the open-concept layout of the main floor. The kitchen is quite spacious with a pantry for storing your food. There’s an island with a sink and dishwasher at the centre. It’s nice to be able to do the dishes while you look out at the rest of the family. Kids might enjoy sitting at the eating lip for breakfast or to do their homework. Often, when a home has a design that juts out in the back, that space is reserved as a dining area, but that’s not the case in this design. This area is intended to be the great room, and it’s nice to have all of the light coming through these windows. The dining room is in a more centralized location, just next to the kitchen. It’s easy to put food on the table. The second-floor area is the perfect retreat for your family. There are two secondary bedrooms for the kids. One of them has a walk-in closet, but the other one has a bit more space, so it’s a fair trade-off. You’ll also love the large laundry room on this floor. You can easily get the laundry done, and there’s enough space here for you to hang a few items out to dry if they can’t go into the dryer. This room also contains the linen closet which is perfect for additional storage. No modern home would be complete without a luxurious master suite. Yours will sit at the front of the home, where large windows let in all of the natural light you could possibly want. There’s a large walk-in closet and a spa-like ensuite, too. While the main linen closet is in the laundry room, this bathroom does include built-in shelving, so you can easily place things like extra towels or your toiletries within reach. A 1,600 square foot home is suitable for most families, but larger families or those who have frequent out-of-town guests might appreciate a bit more space. Luckily, you can add about 450 square feet when you choose to finish the basement. Most people who do this include a bedroom, bathroom, and rec room, but you can use the space in any way that suits your needs. 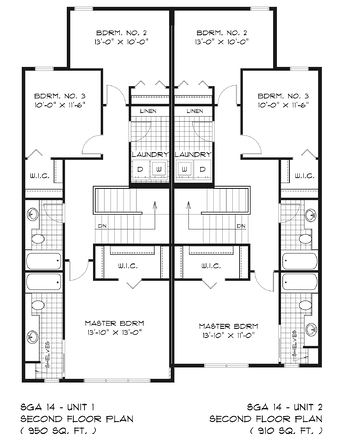 The Stradford model has a lot of space with a layout that just makes sense. 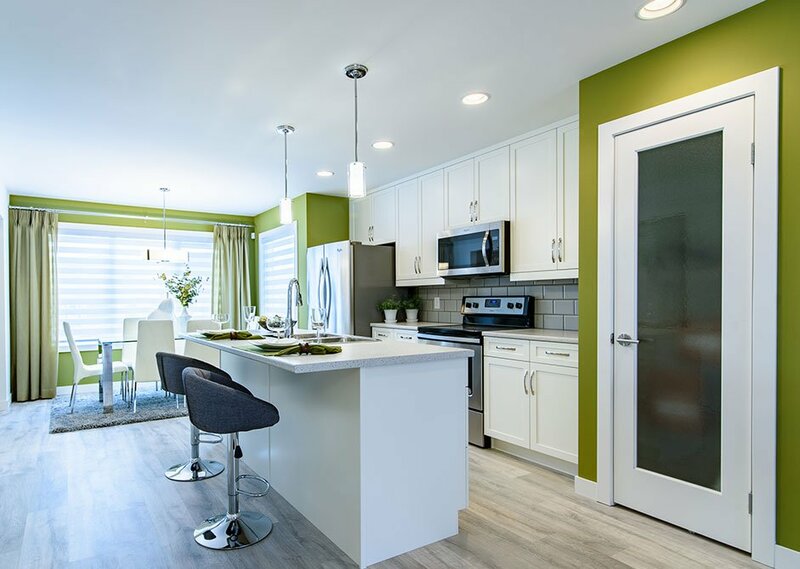 It’s a nice home, and when you purchase a brand-new Broadview home, you have the opportunity to select materials and design elements that will make it your own with the help of a certified interior decorator at our DesignQ headquarters. What you’ll really like, though, is the price. By sharing some of the exterior building costs with your neighbour, you reduce your own costs. 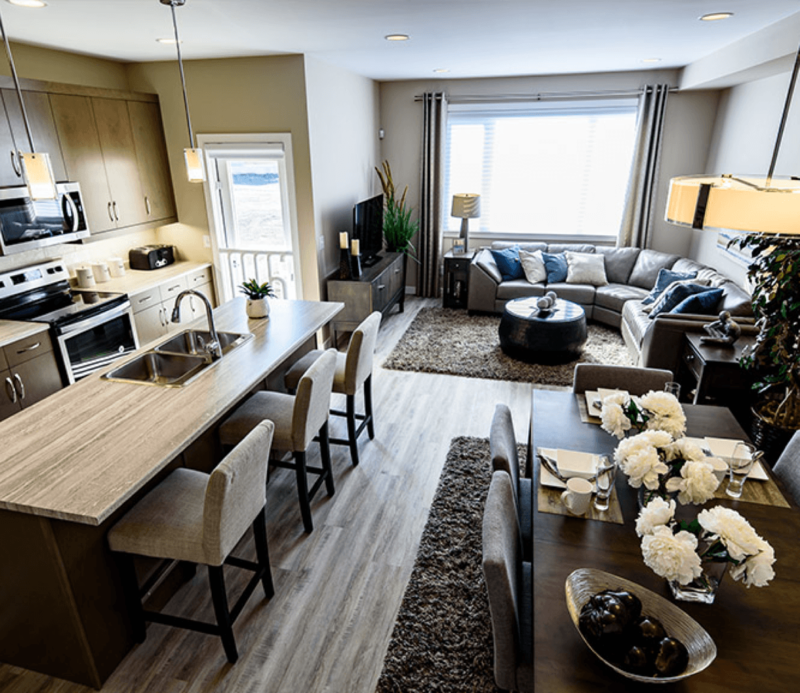 The Stradford floor plan is currently the show home in Bridgwater so you can come and check out the quality of the home for yourself, plus there are a number of other move-in ready homes based on this model in Bridgwater that aren't currently built anywhere else. Come tour our other show homes to check out the quality we offer, then start taking steps to buy your new home today.